We just booked a trip with another family to Los Poblanos, an organic farm in New Mexico. It sounds too good to be true: roaming peacocks, swaying lavender and minimal chic farm houses. There’s balsamic tasting and a balloon festival to boot. 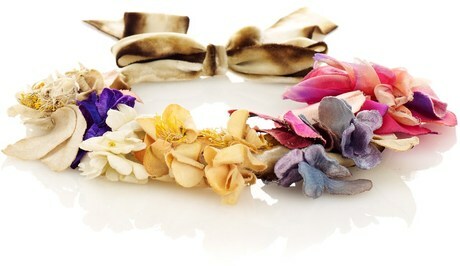 And even if the reality doesn’t match the fantasy, I can still live the dream in a Little Doe silk floral halo. Teamed with a maxi dress and Frye boots, it’s the perfect look for attending a “Field Sketching Academy.” Nope, I couldn’t make this up if I tried. I’ll report back in late October. OK! Exclusive: Molly Sims Chats jcpenney + Joe Fresh Collection, Favorite Back to School Memory and New Maternity Line!